After a week among the snow-capped peaks of the San Juan Mountains, we made our way south on June 2 to Mesa Verde country and the high desert. We settled into Cortez, Colorado, and set out to explore the mountains, mesas and canyons that were once home to the Ancestral Puebloans (formerly referred to as the Anasazi). Here, we would be tourists for four full days of sightseeing. We finally felt compelled to see the rich history that the area had to offer. 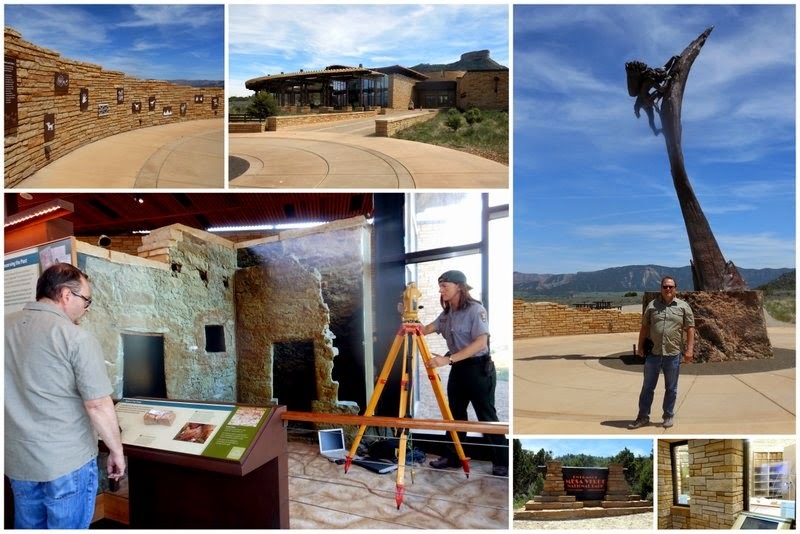 We started with the Anasazi Heritage Center, which interprets the history and culture of the Canyons of the Ancients National Monument and the Four Corners region. This archeological museum is special in that it encourages visitors to explore and learn through hands-on exhibits. It was a great introduction to the region. Next up was Mesa Verde National Park, the first national park set aside to preserve an area of archeological significance. Tim and I had previously visited the cliff dwellings for which the park is known, so we decided to forego a repeat visit and instead concentrate on the newly opened visitor and research center. What a wonderful facility! We were treated to a private tour of the museum collection facility by the park’s museum curator, a former colleague of Tim’s. The general public can view much of the facility through windows and can watch interns and volunteers unpacking and re-housing the three million objects in the collection. We ventured a bit farther afield to visit two other national park units – Hovenweep and Yucca House National Monuments. Visiting the towers at Hovenweep along Little Ruin Canyon was certainly a highlight. Square, round and D-shaped towers were reminders of the once-thriving community that lived in southwest Colorado. Tim and I took the trail along the rim and into the canyon and gained a greater appreciation for this ancient culture. Yucca House, one of the least-visited units of the National Park Service, was a different kind of experience. Yucca House has no visitor facilities or directional or interpretive signs. This large, unexcavated Ancestral Puebloan site has remained virtually untouched for the last 800 years, and one must use his or her imagination to envision the pueblos that once stood here. Tim was able to help me “see” the site. 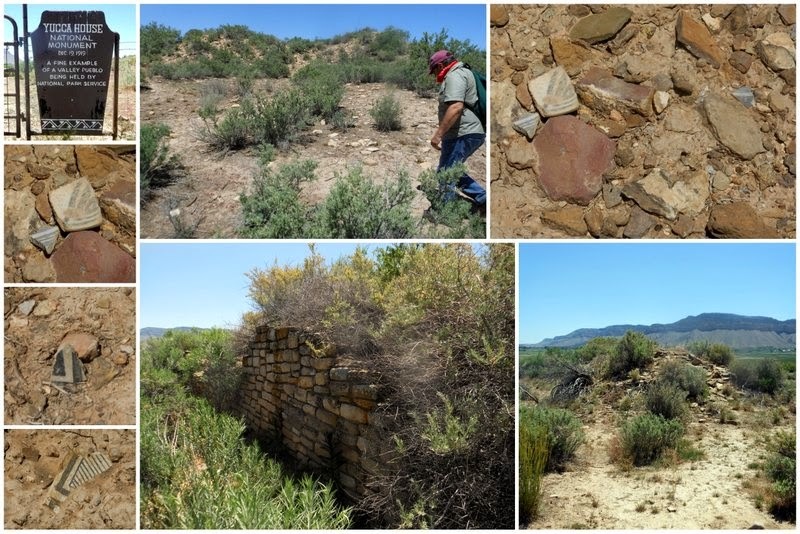 As we continued to explore, he soon noticed tiny pottery sherds throughout the property. It was an amazing experience for me to slow down and train my eyes to look for evidences of the past. Spotting pieces of pottery on my own was a real thrill! I only hope that other visitors will leave these artifacts where they find them and not be tempted to pick up a souvenir. 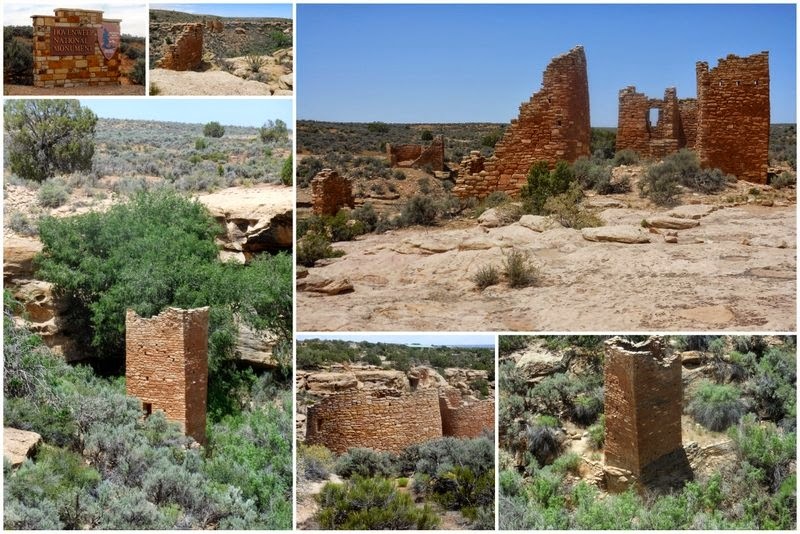 There were still more places that we explored along the Trail of the Ancients, including the Lowry Pueblo and the Crow Canyon Archaeological Center. But I also enjoyed just driving through the landscape that is known as the Great Sage Plain, more than 1,500 square miles of high, dry, rolling plateau, laced with canyons. It was a busy week. My only complaint about our visit was the heat! It’s time to get back to the mountains! That's a great question, and I had to look up the answer. Apparently, Yucca House was not the original name. 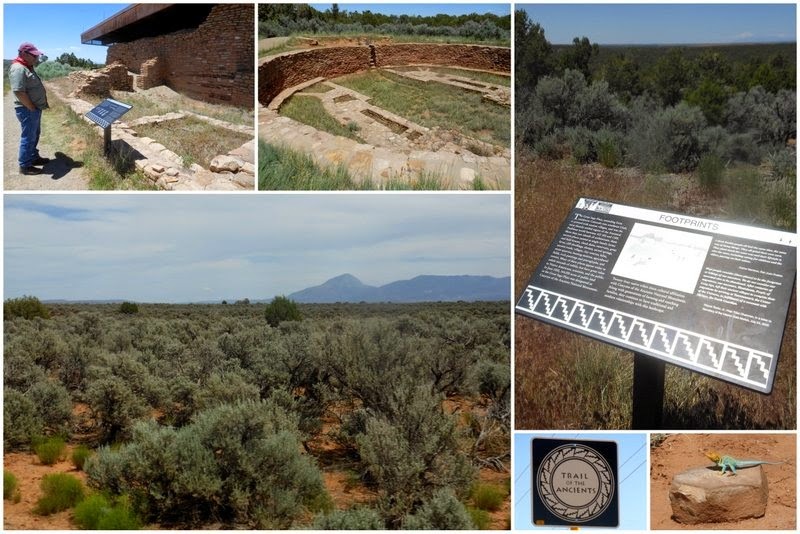 "Although archeologists have only known about the site for the last century and a half, the Utes and Navajos living in the region and the Pueblo people further south have known about this site for centuries. Furthermore, rich oral traditions tie the Pueblo people to this land. The modern Puebloans are the descendants of the people who built Yucca House. The site was renamed for its location at the base of Sleeping Ute Mountain to clarify that it was not built by the Aztecs and to avoid confusion with nearby Aztec Ruins National Monument. Sleeping Ute Mountain is known to the Utes and other tribes as the 'mountain with lots of yucca growing on it.' Thus, 'Aztec Springs' became 'Yucca House.' Interestingly, there is no yucca growing in the monument today." Thanks for letting me learn even more about the site. I'm glad you asked as well! Keep the questions coming, and I'll try to answer them. The answers will show up here in the Comments section.